Some have a lucky charm, some picture a naked crowd. For Jennifer Ward’s honors American literature class, the key to avoiding pre-presentation nerves came from Taylor Swift. “We dance before presentations to ‘shake off’ the nerves, to loosen up,” Ward said. 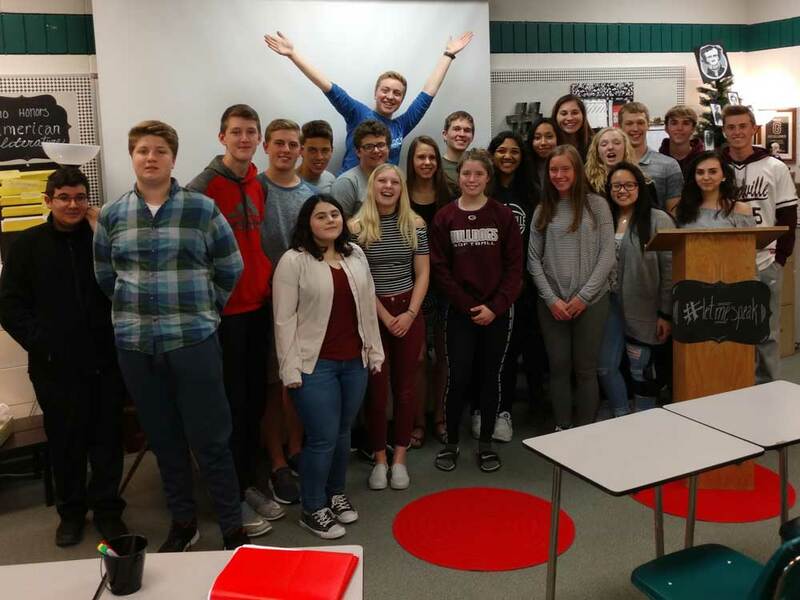 After studying important speeches throughout U.S. history in class, sophomores at Grandville High School put learning into action as part of their #LetMeSpeak assignment. “Throughout this unit, we paid special attention to how we framed the texts we studied,” Ward said. “Early in the unit, we read, listened, and analyzed revolutionary American speeches, both from history and those from contemporary speakers. The #LetMeSpeak project was born from a recent increase in youth activism across the nation. Ward’s students were asked to find a topic that they felt passionately about and then express that to their peers using the methods gathered in class throughout the year. Sophomore Taylor Groothuis decided to speak about her experience moving to Hollywood as a child to pursue acting. After living with rejection and distrust within the entertainment industry, Taylor was able to speak on her motivations today. Touching on the stresses of being career-focused as a child, she explained the inspiration behind her dreams. Reflecting on her return to “normal,” Taylor told her classmates that she has no regrets. From Hollywood expectations to beauty expectations and family values, speech topics focused on relatable experiences for high schoolers today. 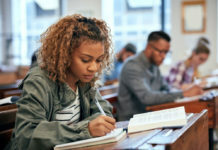 This idea of a creating a passion-driven assignment is what brought the high school to connect with TED-Ed, a platform for interactive collaboration. Eight students video-recorded their talks with the TED community and invited staff and administrators in for a class period to watch the speeches. 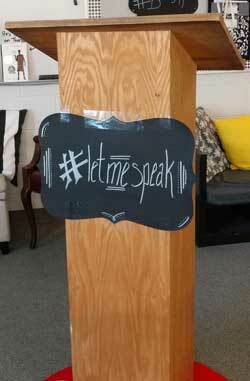 The #LetMeSpeak tagline was also used on Twitter to show off the work done at Grandville. Communicating with students each step of the way, Ward stressed it was imperative to make sure that students felt safe sharing their stories. Following the conclusion of the #LetMeSpeak project, students will be writing notes of encouragement to each other about their individual speeches for feedback and reflection. Next year, Ward hopes to invite not just administrators in to hear these talks, but the larger community. 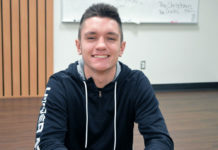 “Imagine the innovative, inspiration and connection that such talks might have within our school community at large,” Ward said. AP or early college? What’s a student to do?